Peace House is an intentional community in the Eastside Neighborhood of Kalamazoo dedicated to nurturing the next generation of peacemakers. 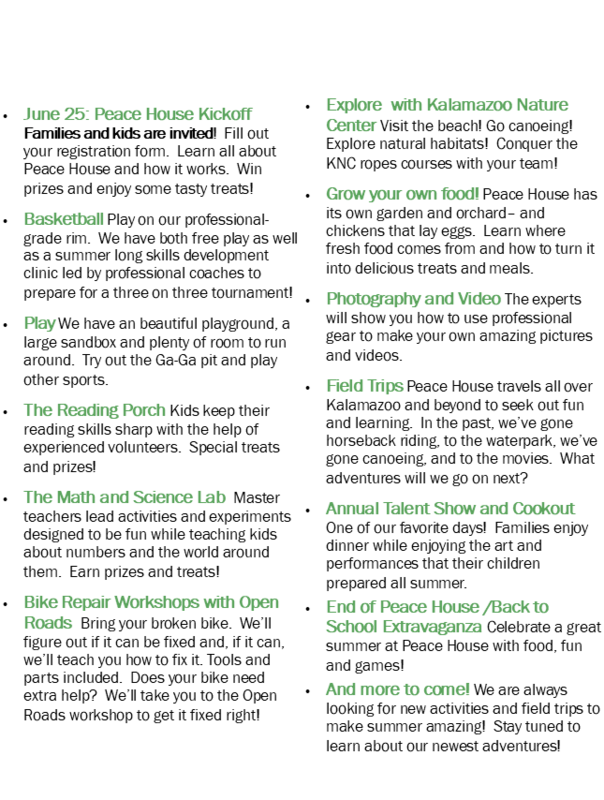 In the summer and through the school year we offer activities that let kids stretch their bodies and minds, experiment with nonviolence and learn fun and useful skills. Our Facebook page has all of our latest updates and cute pictures of kids. Check it out! 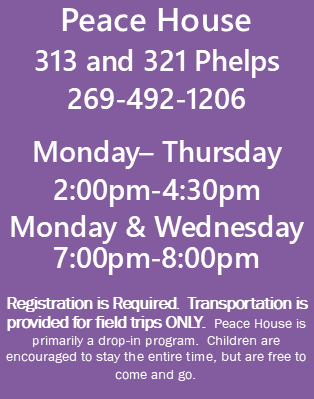 The Peace House Summer Program Begins Wednesday, June 25 at 2:00PM!! !